There are a lot of things to like in Burlesque: A Living History. Jane Briggeman has made connections with a lot of performers who worked the circuit during the 50’s and 60’s—what many consider the Golden Age of Burlesque. These are not necessarily the stars everyone knows. These were the working men and women who worked night after night, show after show to entertain the Everyman of America. This is more a reference book than everything else. This book is well supplied with vintage photos. This is more than just the standard promotional photo (although there are plenty of those in here). There are loads of candids—an intimate look into what burlesque really looked like. The list of classic performers (both dancers and comedians) is extensive. And there is more of a history of the theaters and venues than I’ve seen in any other book on burlesque. The saddest part of this book is the realization these guys and gals are getting up there in age and many have passed on. There is an earnest need to chronicle these stories before it’s too late. Burlesque: A Living History also features personal histories from many modern burlesque performers as well. I point this out with a bit of pride since all the gals featured in this segment have either appeared in Bachelor Pad Magazine (Ava Garter & Orchid Mei) or have been part of a Java’s Bachelor Pad show or event (Ravenna Black & Kitty Baby). There are a couple of things missing. Personally, I’m a fan of narrative histories. I like to read how all these individual stories fit together. There are a few great stories about life on stage sprinkled in the book. I would have liked to seen more of that. Sometimes, entries just come off as a list of who people performed with and places they danced. And it also seems most of the correspondence was via e-mail. It would have been nice to see more one-on-one interviews. And when it comes to modern burlesque, besides the present-day gals featured, the rest of neo-burlesque is skimmed over. You would think that after 15 years, the modern wave of burlesque has enough history to warrant more than a casual mention. 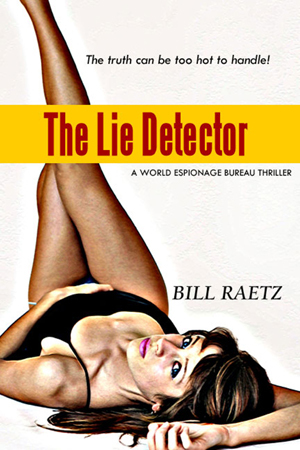 Those criticisms aside, there are a lot of hidden gems in this book. Usually, the baggy-pants comics get short shrift when it comes to modern histories of burlesque. Here, there are pages and pages of promotional shots and stage shots of these fellows. There are even a couple of scripts for modern performers (if they are brave enough) to work from. 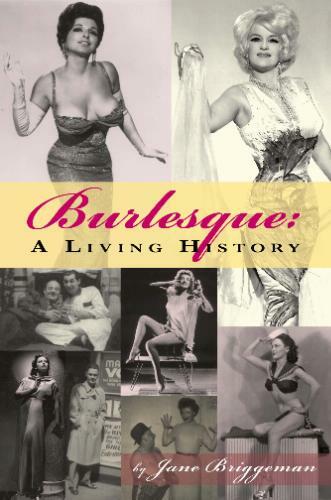 This book is a great resource for the burlesque scholar. There is a lot to learn here and hopefully it will spur others to gather up the histories of these performers before it’s too late. Copyright 2010, Swinging Bachelor Productions.